What’s it like to be a new student at Brighton? For this post we have a guest piece by one of our new first year students Alexander Ludlow. 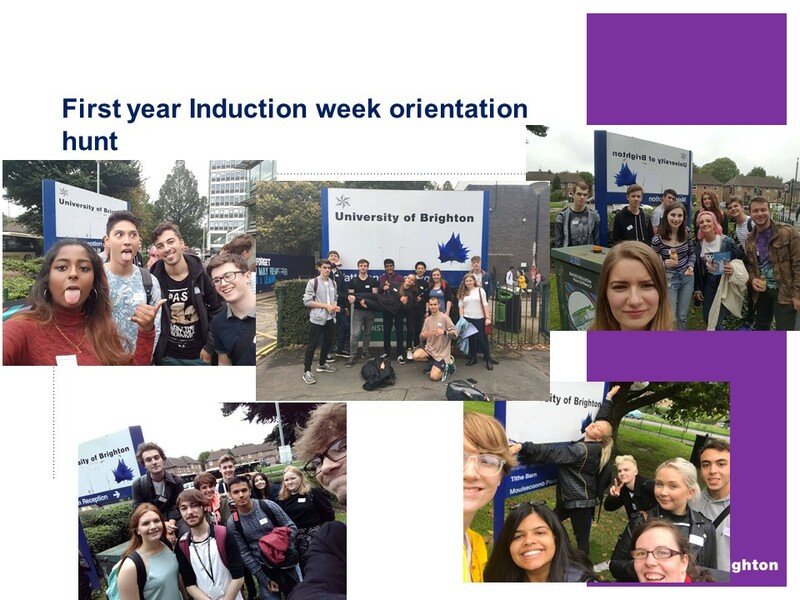 Alex has just started on the BSc(hons) Chemistry course here at Brighton and has kindly recorded his experience of the Welcome Week here which culiminated in a social event in collaboration with the Royal Society of Chemistry, followed by ChemSoc’s first social event of the year (without the staff present!). My first day studying chemistry at Brighton had a light start, we were welcomed by the Head of School who put into context what studying in Brighton meant and how we can get the most of it. The day mainly consisted of activities to familiarize yourself with the Campus and online student learning environment. 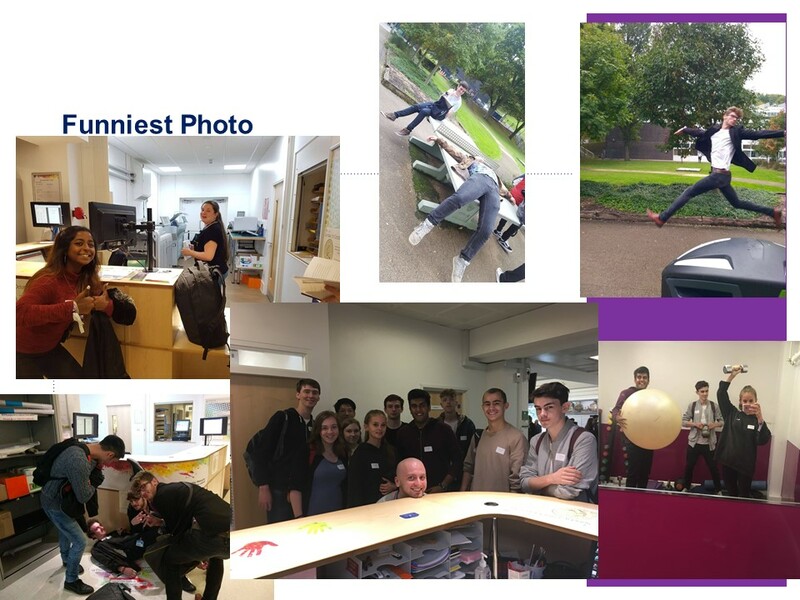 To finish the day off we competed against other tutor groups for a scavenger hunt, which I was sceptical about, but ended being a very enjoyable task, where I not only got to know people in my tutor group, but also got to know the buildings where I’d be taught. Today was some administration before we can get into the Chemistry laboratories. Later in the day we had a fun lab activity, where there was a simulation of typical hazards and bad practise in the lab. We had to explain to the technician the hazards we had found and how we would deal with them. My Wednesdays are not very busy because the University likes to keep this day open for you to do sports, should you choose to. We had our first Course related talk today, detailing how we should study, which was helpful. Our lecturer, the Inorganic chemist named Ian Gass, whom is a fan of Iron, and sounds like Frankie Boyle, created a light and fun environment, whilst still speaking in a very detailed manner allowing me to follow what he was saying easily. For an example on note making and the importance of attendance he taught us about Crystal field theory, I found it very difficult and almost hypocritical the idea that a ligand forming a dative covalent bond with a central metal ion, can be considered to have an ionic interaction with the central metal ion. I said to one of my peers “I’ve just realised chemistry isn’t black and white” they replied “have you only just realised?”. Chemistry is so beautiful and complex so it needs to be explained via a model that can represent the main features in a simplistic way, because to be able to understand chemistry you need a broad understanding of how many things work. It’s only now I realise I was being taught the ‘lite’ version of chemistry in previous education and the simplified version. I am excited for the year ahead but also a tad scared about the content, and the only thing I can do is be proactive and work as hard as I can and seek support when I need it. Thursday was a late start, not much chemistry involved, because today was freshers fair, 6000 students piled into AMEX stadium to sign up for the 116 societies Brighton university had to offer. A good day and was a surprising sight. Friday was a fun day. Whilst the 5 sets of stairs in the Watts building weren’t fun, the talk on keeping your online image positive and working on describing your weaknesses and strengths was helpful. Next, we had a small talk from the Royal Society of Chemistry which was interesting, and found out the results to Monday’s scavenger hunt. My team only got a silver, but I’ll take that. Monday was also ChemSoc’s first social. I really enjoyed meeting 3rd years and hearing their experiences and tips for first year, chemistry at UoB seems to be a tight knit group that all seem to know and support each other. Thanks Alex for giving us an insight into your first week. We’ll catch up with the new students later in the year. Our next Open Day is Saturday 21st October. You can visit the main University of Brighton website to sign up.